However, since then there's been a lot of changes... Nolan's sold Liar Liar and opened Proud Mary, and Mark Dundan has opened Seven Seeds. And our own askthecoffeeguy [Pat] has opened Foxy Brown! So which would be the best cafes in Melbourne now, and does anyone want to take a stab at the ranking? Here's your opportunity! PS Interestingly, the Australian has just done a review which includes Brother Baba Budan and Auction Rooms [which we rate very highly] but doesn't include Proud Mary and Seven Seeds, which we think are fantastic additions to the Melbourne scene [they include Sensory Lab in Collins St, and Market Lane Coffee in Prahran] ... would be very interested to know peoples' thoughts on any, or all of the above! glad to mention that Foxy Brown is featured in both the forthcoming issues of The Melbourne Coffee Review and The Melbourne Coffee Guide - both of which canvas Melbourne's top 100 coffee destinations! yes, fair point Moto, although I'm not sure what this guy's qualifications are to judge. 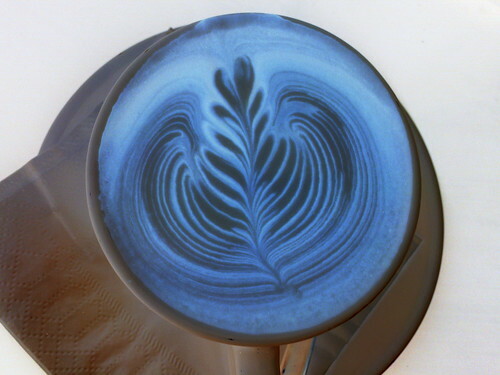 However there's no denying that 90% of cafes only serve average [or worse!] coffee. congrats Pat for Foxy write ups! Seven seed hands down for me at the moment. But I only have one problem. Very slow. Not bagging them at all, just pointing out that it takes a while to get 3 cups in a reasonable time. I also notice that take away is a bit of a crazy crush. As for quality, Do I need say....Brilliant!!! "The app is fine however there has been an accusation below that coffee shops have to PAY to be featured in this app. Can the developer please be up front and either confirm or deny this? A review app that possibly takes $ to feature coffee shops is not exactly "impartial". I like the app but if good coffee shops are being not featured as they are not wanting to pay to be listed on this app then I think us users of the app have a right to know. Can the developer please comment on the app front page or on here and let everyone know if it's merely a "pay to feature" a coffee shop app or it's a true, UNBIASED, opinion of coffee shops you just happen to visit. It does seem odd that wonderful coffee shop areas like Docklands, Yarraville, Seddon, Williamstown, Flemington, and other even more obvious coffee shop meccas have been ignored by this app so far. MayBe those areas are to come. At least be up front... Do shops have to pay to be featured on this app or not? Is it a true "review" site or merely a commercial venture where you are asking shops to pay to be featured? I'm not sure about others but I'd rather pay for an app that was unbiased and didn't only post reviews from shops that pay. I can't make an informed decsion on your app until the developer clears this matter up. Thanks." looks like no-one from MCR had got round to answering this guy - does anyone know? This issue [of impartiality] came up about the Sydney Coffee Review a year or two ago, where I picked up that they were charging cafes for some entries and not making it clear. It turned out that one of the reviewers wrote in and said they were asked to change the result of their review of one particular cafe, because that cafe had paid, and apparently his review wasn't positive enough. I would draw an analogy to the restaurant industry, where both the SMH and The Age Good Food Guides are clearly impartial and therefore highly trusted and highly regarded. My personal opinion is I don't think the coffee industry is doing itself any favours in terms of earning recognition for quality, maturity and integrity as an industry if it welcomes guides and reviews that are not truly impartial. actually Pat, am starting to wonder if I'm the odd one out here... it's old-fashioned journalistic integrity that makes me worry about things like this, but maybe I'm being naive, since pretty much no-one else seems too worried. And in fact I'm not really sure why I'm even worrying about the coffee 'industry' - goodness knows the 'industry' have never given me a cent! Actually it's making me wonder whether I am being too idealistic - am going to consider whether I start charging cafes for a listing on Bestcafes, which until now has been free. Doesn't this amount to the same thing? well, have been thinking about this, and looks like I'm definitely in the minority. From end-June, will start charging in listings in bestcafes.com.au - so if you have any friends/colleagues with a great cafe, let them know! Of course this applies to cafes in all areas [not just Melbourne] - will make a post in Trade page as well. Hi guys - just to let you know, we have a team working on Melbourne's Top 5 cafes for the upcoming Winter issue - watch this space! top five is going to be hard to pick considering the new arrival of so many speciality coffee destinations in recent times - I can think of five which have opened in the last 6 months alone! good luck with the decision making process - cant wait to see the final results! To limit to 5 in Melb's would be a tough tough ask for sure! If I had to limit to 5 my pics would be (in no order), Auction Rooms, Brother Buba Budan, the Maling Room, Market Lane and Proud Mary's. Though having said that, it's been WAY to long since i've been back to Melbourne and it's such a dynamic scene that I'm sure there are literally hundreds of contenders that are all within a whisker of the top. Best of luck to all, and especially the judges who will have a tough time ahead of them! Hi guys - things have been pretty quiet from my end, as we've been beavering away on our Winter issue [including Melb. Best Cafes]. Personally i think it's going to be a cracker, but will be out in around 10 days, so hopefully you can see for yourself! Ok guys - here's your big chance... we're releasing our Melbourne's Best Cafes special feature in the Winter issue in around 10 days, but here's your chance to contribute! Go to the poll on the home page: Bestcafes.com.au [or just click on link: http://www.bestcafes.com.au/] and vote for your favourite Melbourne cafe! PS dont' forget to let your friends/colleagues know and give them a chance to participate also! Hi guys, thanks for your votes - it's been a pretty interesting exercise! Just a 'heads up' - we'll be releasing our official Top Cafes of Melbourne 2010 on Monday or Tuesday of next week. As ever, it's the result of an exhaustive process with a group of highly qualified judges. Rather than the newspaper ones, where [typically] they send a junior reporter out to try and few coffees and 'write something up', we've gone to respected melbourne - based pros and asked for their ratings. We all know that coffee quality can vary slightly depending on shifts [ie who's working], the time of the day, how busy they are etc etc, so the the process we follow is pretty rigorous, including different reviewers going at different times, over an extended period. Will give a bit more detail in another post, but the bottom line is - it's all about the coffee, which we believe is how it should be! we will release our 'official' best cafes of Melbourne here tomorrow night. Hi guys - well, this is the official listing of our Top 5 Cafes of Melbourne for 2010. Congratulations to these superb five cafes, and thanks very much to the judges: Andreas Martinu [head roaster at Atomica], David Makin [two-time Australian Barista Champ], Mel Caia [senior trainer at Melbourne's Coffee Academy] and our very own Patrick Sloane [aka askthecoffeeguy]! Just a word about the methodology - as stated above, this is all about the coffee - in particular espresso. It's nice when there's great service and ambience, and our reviewers certainly appreciated when cafes went out of their way to offer other coffee options [eg Syphon, Pour-over, etc] but this is primarily about espresso coffee. While it's obvious that results can vary day-by-day [& barista by barista], as we stated previously we went out of our way to try and negate these factors and make this the most rigorous cafe review possible. However we must concede that on any given day, the cafe rated [for example] no. 4 might do a better shot than that we've listed at number 3, but we've tried our best to give the order correctly as we see it, from reviews over the last couple of months. However, it's a credit to these cafes to be in the Top 5, whether no. 1 or no. 5, so once again, congrats to these great cafes! Hi admin - that's great - thanks for the recommendations - can't wait to get back to Melb! Pat's probably too modest to mention this, but last weekend he got [Foxy Brown] rated in the Herald Sun as second-best cafe in Melbourne to go for breakfast - congratulations! Weekends are busy for us anyway but yesterday we were slammed beyond belief - and with my two full time baristas on holidays abroad at the moment it made working the coffee machine interesting to say the least! Thankfully I've got enough depth across my staff that we managed to cope ok - but my hands were aching at the end of the day from the number of coffees we made - which is something that happens vary rarely - so I know that I had a good workout behind the machine! congrats Pat - well done!! !